Providing aviation photography for advertising and marketing campaigns is both an art and a science whether it be for a commercial or private jet or a small helicopter. Ensuring the aircraft image portrayed in terms of content, context, models and props fulfills the optimum brand proposition. Attention to detail and a good understanding of the lighting and spatial challenges each shoot presents is essential to ensure the airframe build integrity, design detailing and quality of interiors materials comes through. In addition, giving the impression of space and comfort is always a key priority (especially in helicopters and cockpits). The challenges internal and external shots present are extremely different. Very often additional exterior lighting is needed when shooting interiors to show how much natural light is available and how airy the passenger cabin is. 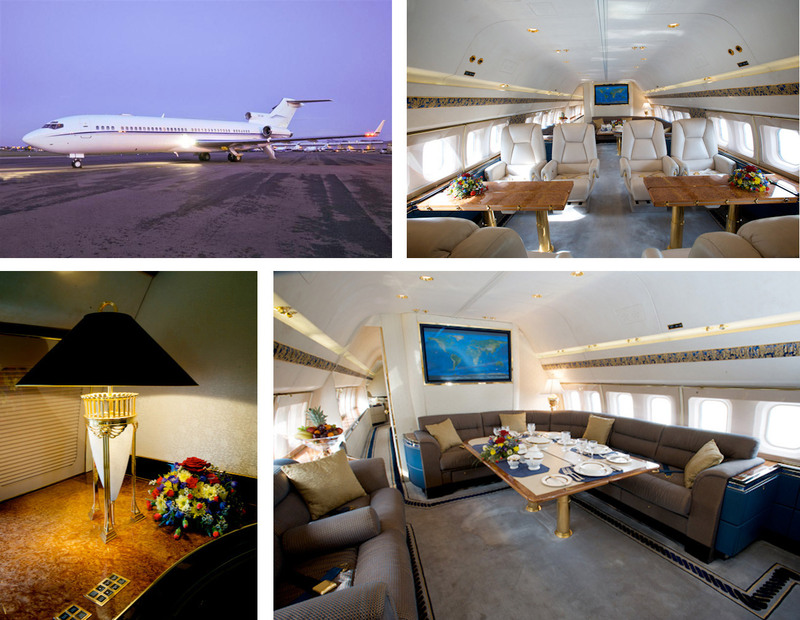 Design Inc were recently commissioned to produce a website marketing campaign including a micro site and e-brochure for this rather amazing private jet owned by one very wealthy individual which involved a comprehensive aviation photography session. This project required positioning the aircraft on the apron of a photogenic airport hangar and terminal hard standing location, a stylist dressing the inside and outside background areas and providing models and props including cuisine. In addition to stills aviation photography in a variety of formats and DV, a 360 degree lens and other specialist cameras were used to create a stunning portfolio of images and presentation footage. It all helps to promote what a unique aeroplane this converted Boeing 727 really is.